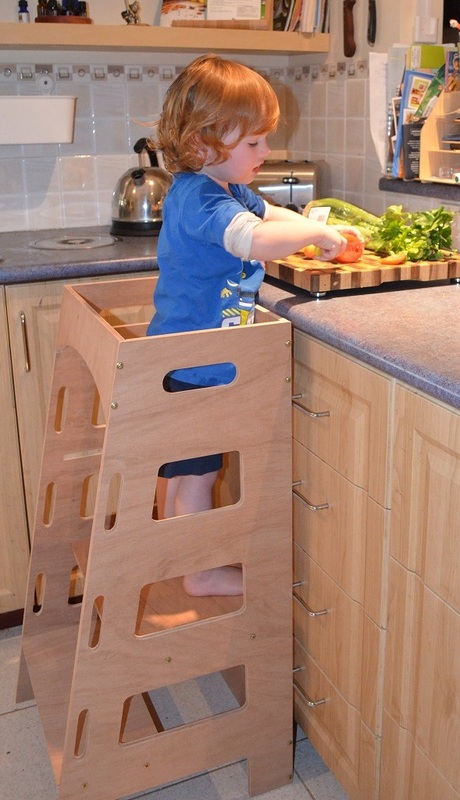 Kitchen Helper Tower - Little kids love helping Mum or Dad to cook, get your little one in the kitchen to help out safely! This helper is lightweight and easy to move thanks to our built in handles which can also be used for your child to hold onto as they climb up. It has two height adjustments so it can grow with your child! The tower is made from high quality plywood that has exceptional edge quality and strength. The tower is shipped disassembled, however it can be quickly reassembled with the screws that are included.